Christian Education: It’s not just for kids anymore!! The Christian Education program at St. Paul’s continues to seek to make disciples of all people, from those in the nursery to adults. Our goal is to teach about the love of God given to us in Jesus Christ. As we work with the children, that goal may be achieved as we teach simple Bible stories, and then enforce the teachings of those stories with music, crafts and games. 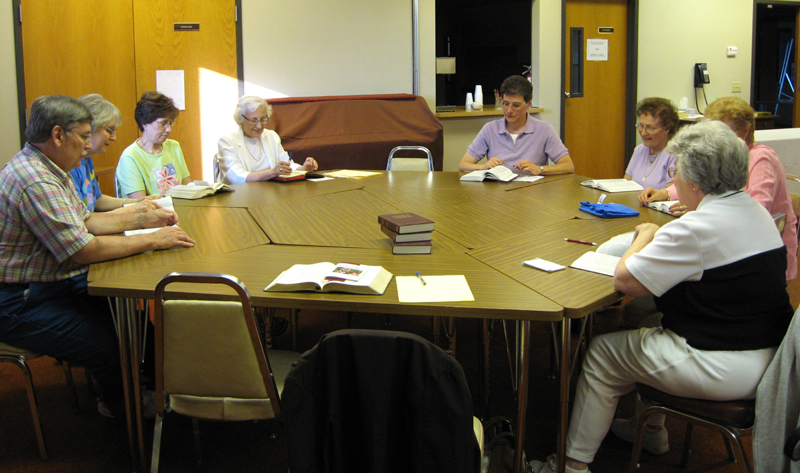 We are blessed to have a core of adults who teach Sunday School on a rotating basis throughout the school year. Mrs. Taryne Williams is currently the superintendent of the Sunday School. While our children are learning about Jesus, their parents and other adults gather to grow in their knowledge of the Bible and join together to discuss how one can live out the Christian faith in the complex world in which we live. Adult education takes various forms. At times we sit together to study a period of the Christian era, such as the early church or the reformation. At other times we watch tapes or DVD’s that spark discussion on relevant topics of the day, such as anger, finances, addictions, relationships. Sometimes we study in detail books of the Bible. Whatever method we use at a give time the goals is always to learn how God is present with us at all times, and how to live out our life as a disciple of Christ. 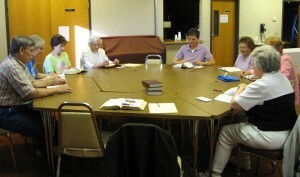 Adult classes are offered on Sunday mornings and at various times throughout the week. Each summer St. Paul’s has a dynamic Vacation Bible School Program. Be sure to see their report. Christian Education is for everyone. If you would like to teach (which is a great way to learn), or you would like to participate as a class member, we would love to have you join us. Our goal, though it may seem big, would be to have every member of St. Paul’s involved in on-going learning about God and God’s gift of love given to us in Jesus.